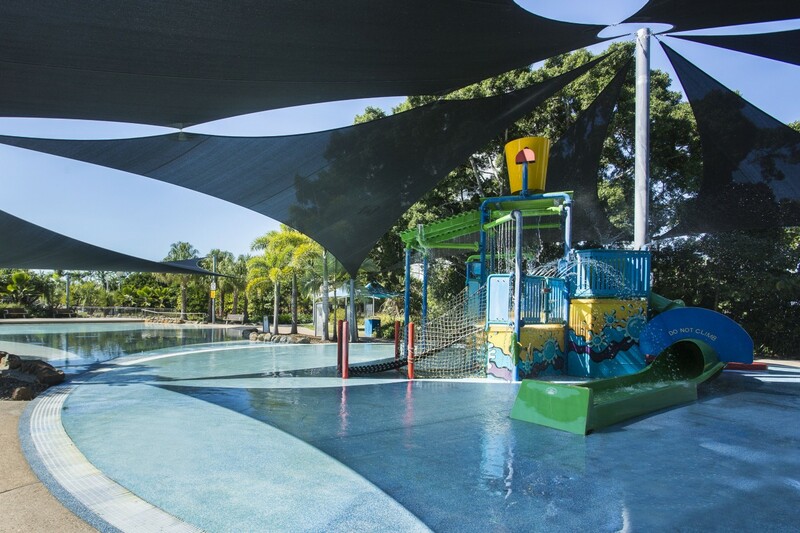 Located on the coast of Queensland, The Mackay Region has something to offer everybody. If it’s nature you’re after, try your luck at catching a mighty barramundi or spotting a platypus among the rainforests. Treat yourself to a meal at one of the leading restaurants in the region – you’ll be spoilt for choice when it comes to delicious, local produce. The food scene in Mackay has long been overlooked in favour of those in Australia’s capital cities, but this regional beauty holds more than just it’s natural attractions. When it comes to delicious and wonderfully diverse delicacies, Mackay is a quiet achiever with world-class dining and drinking destinations. First and foremost, Mackay is an amazing city in its own right with brilliant natural landmarks well worth exploring by families and fisho’s alike, but more importantly its geographic location makes it absolutely ideal as a base to stage your assault on the dams. Seriously, I don’t know another regional city that can lay claim to being located within 90 minutes of three world class impoundments (allow a slightly longer travel time to Eungella dam if you are towing your tinnie or camper trailer). The close proximity to these angling mecca’s is a massive feather in Mackay’s cap. Think of Australia’s most famous icons, ‘Wallabies’ and ‘The Beach’, add in a beautiful sunrise and you have the ‘Cape Hillsborough Sunrise with the Wallabies Tour’. 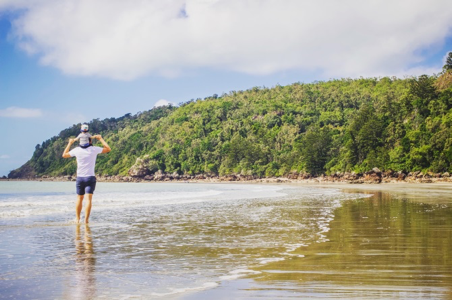 Located at the stunning Cape Hillsborough beach, this experience is a must for all visitors to The Mackay Region. Cape Hillsborough is located 45 minutes north of Mackay. Located roughly halfway between Cairns (750km North) and Brisbane (950km South), Mackay is easily accessible by air, rail, and road via the Bruce Highway. New signage for Cape Hillsborough and resurfaced roads make the early morning drive an easy one. As in nature, the coming of winter signals an annual migration north for thousands of travellers seeking the warm, tropical climate of The Mackay Region. For our visitors escaping the dreary cold down south, and any curious locals seeking a couple of nights away from the stresses of modern life, we share some of the top spots to camp in the Mackay Region. Sharmin Messer from popular travel blog ‘The Hungry Travellers’ also gives some tips for those looking to make the most of their camping experience. Be sure to check out their social media channels. 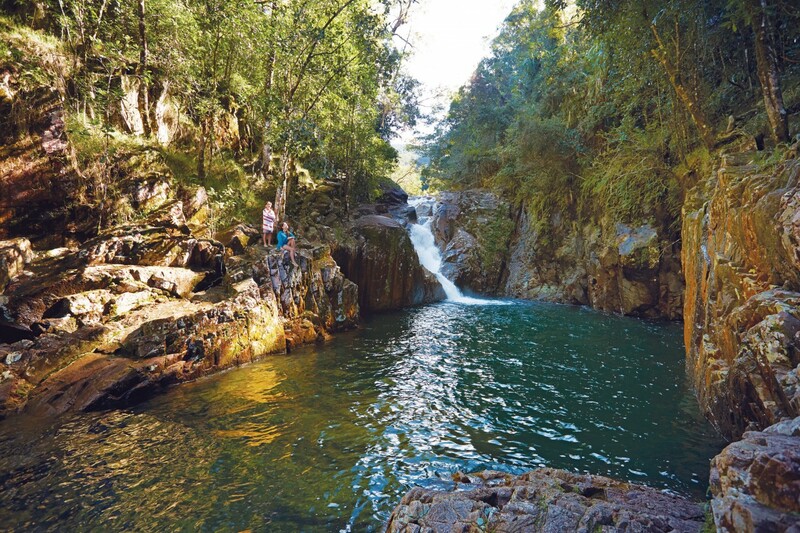 High above the surrounding plains, Eungella National Park is one of Queensland’s most ecologically diverse parks with 860 plant species and 20km of walking tracks to explore. With a wonderful variety of wildlife and the opportunity to see platypus in the wild, it’s worth staying a few days. It’s 6am on any given Saturday or Sunday morning, and many of us are catching up on sleep – not exactly a time we would expect to find a traffic jam. Go down to your nearest boat ramp any weekend morning however you’ll be amazed at the number of vehicles, boats and trailers lined up ready for fun day on the water. Mackay boasts one of the highest rates of boat ownership in Australia with one boat registered for every eight residents. Many of these boats exist for one reason – fishing, and The Mackay Region and its visitors are hooked on it. Puns aside The Mackay Region is fast becoming Australia’s premier fishing destination. Are we there yet? Are we there yet? So, for once it’s not the kids in the back seat. This time it’s your partner’s inner child coming out in anticipation of tangling with a chrome-sided, bucket-mouthed, leaping Barramundi whilst fishing in Mackay. Honestly, who could blame them, the fishing here is amazing. Oh, and while you are here, you may as well tick Fingermark, Mangrove Jack, Threadfin Salmon, Queenfish, Sooty Grunter, Saratoga, Coral Trout and Spanish Mackerel off your bucket list as well. You see if it has fins, swims and is an iconic Australian sports-fish highly prized by many, you will find it here in Mackay. It’s not hard to see why really, considering the diversity of aesthetically pleasing landscapes and abundance of species present in this fishing mecca. Whether you are an experienced or inexperienced angler, whether you are young or young at heart, the options are literally endless and are only bounded by your sense of adventure. Heck, you don’t even need a boat to get amongst the trophy fish here. Fishing off the numerous rock walls, estuarine banks or dedicated fishing platform/pontoons puts you right in the game. 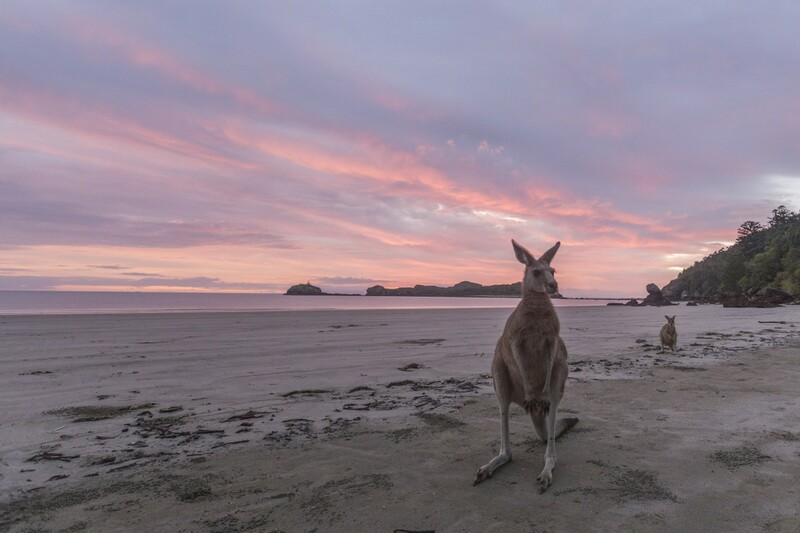 If spending an enchanting sunrise on Casuarina Beach watching the wild wallabies and roos bounding alongside you isn’t on your bucket list, then you may have been living under a rock! Mackay is well known for this iconic Australian experience, but those who venture here during the Summer holidays quickly discover there is so much more to uncover throughout this gem of Central Queensland. With a thriving local tourism economy and strong community support, options for adventures are plentiful. Teamed with the spectacular natural sceneries, this laid back tropical city is perfect for families looking to recharge the batteries, whilst avoiding the masses of tourists. Deep blue seas, golden sands and tropical rainforests are a paradise for travelling families this summer. Let us take you on a journey to discover Mackay’s iconic blessings and hidden secrets with kids in tow, no matter how little (or big) they are! Rolling green hills, pristine waterholes and the best place in the world to view platypus in the wild; it’s here that Austrian-born chef Oskar Krobath has found his ‘home away from home’. 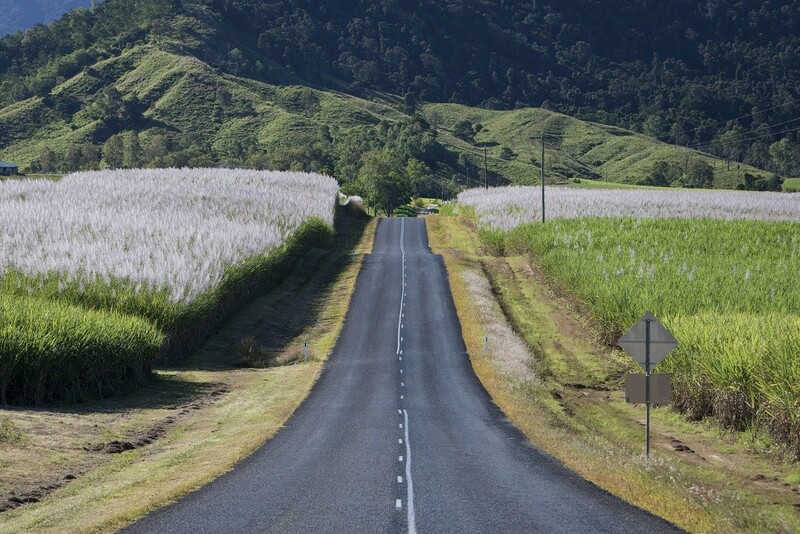 Driving up the range towards Eungella National Park (approximately 85 kilometres west of Mackay), the air becomes cooler, the trees become thicker and the views of the Pioneer Valley are simply breathtaking. It’s no wonder why visitors from all over the world seek out Mackay’s hinterland region as a must-see destination. Owner and chef at the Platypus Lodge Restaurant and Café at Broken River, Oskar Krobath says it was the same natural beauty that attracted his family to settle here almost 14 years ago. 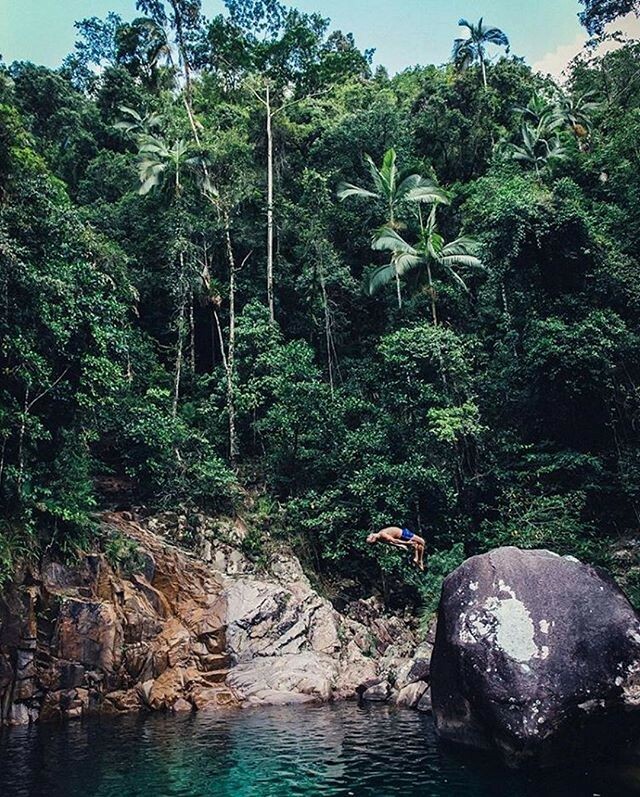 Hidden amongst the Finch Hatton rainforest, a magical first-of-its-kind flying fox experience awaits. Friendly Brits Dave and Donna, who are the owners of Forest Flying, tell the story behind the 15-year operation. Cast your mind back 27 years ago, and Dave and Donna were living in a self-constructed tree house on their newly purchased property in Finch Hatton. 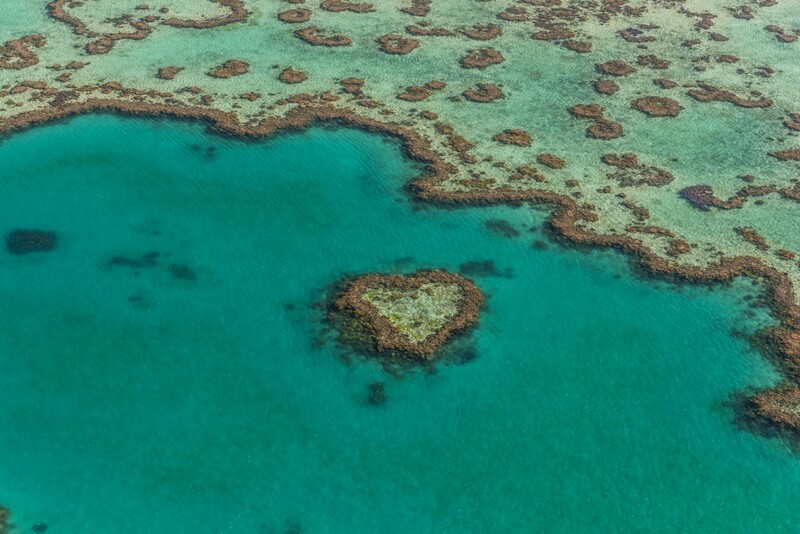 They had first met through mutual friends in Townsville and, when their paths crossed again later in Sydney, they decided to make the move to tropical North Queensland to take advantage of the relaxed lifestyle. 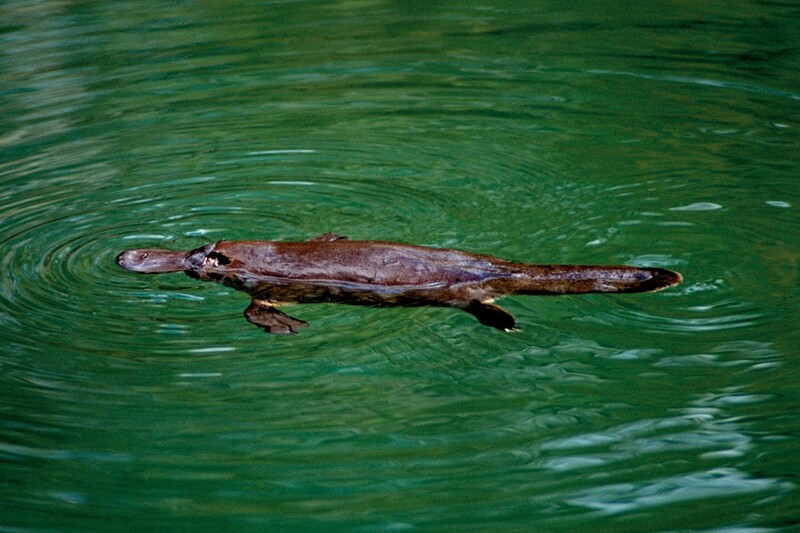 Did you know that the majority of platypus sightings in the wild happen in The Mackay Region? It’s no wonder visitors from all over the world can be found searching the freshwater billabongs for a glimpse of the little creatures. But finding them is not an easy feat and requires a mix of patience and local know-how. Kick off your shoes, grab a glass of champagne and get the sand between your toes because it’s a race day of a different kind. 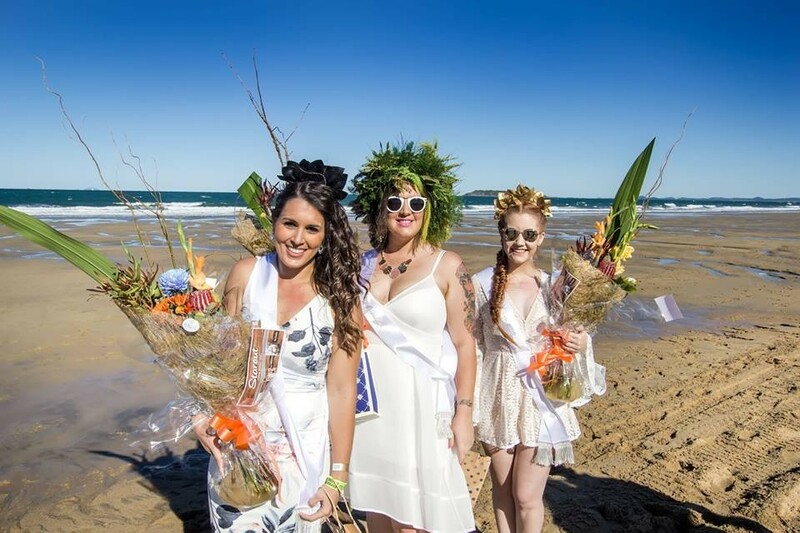 Set on the stunning Mackay Harbour Beach, the iconic Mackay Airport Beach Horse Racing Festival encapsulates some of the things Queensland is famous for - sun, sand, surf, fashion and sport and wraps it up into one unique event. The event was founded by the late Mick Pope; a man who was as charismatic and energetic as his race day vision. While Mick’s passing was felt farand wide, it also ignited the flame for his partner Chrissy Evangelou and the local community to carry on his vision to run ‘an event like no other’. Cuddled a koala? Fed a kangaroo? Held a baby crocodile? These are all common wildlife experiences that many visitors to Australia are keen to tick off their bucket-lists, but have you tried finding a platypus in the wild? Platypus are only found in Australia and only inhabit a small proportion of the country. Broken River, a tranquil rainforest environment in Eungella National Park, is considered to be the best place in the world for seeing wild platypus in their natural environment. Photo: Get up close & personal to the curious platypus in Eungella National Park. Camping, fishing and swimming with platypus, oh my! There are more than a few things to do in Mackay that will have you feeling all Bear Grylls. Where you need to be in Mackay to capture golden hour. Hop on a beach with a kangaroo, reel in a massive barramundi or zip-line through a rainforest canopy – Mackay makes it easy to find your natural high. 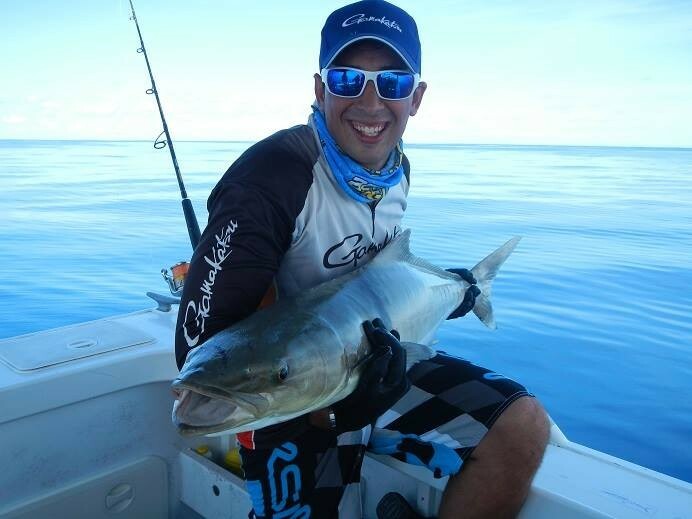 Meet “mad keen fisherman” Luke Galea and get the scoop of the best fishing spots in The Mackay Region, then watch as the barramundi, mangrove jack and salmon come flocking! 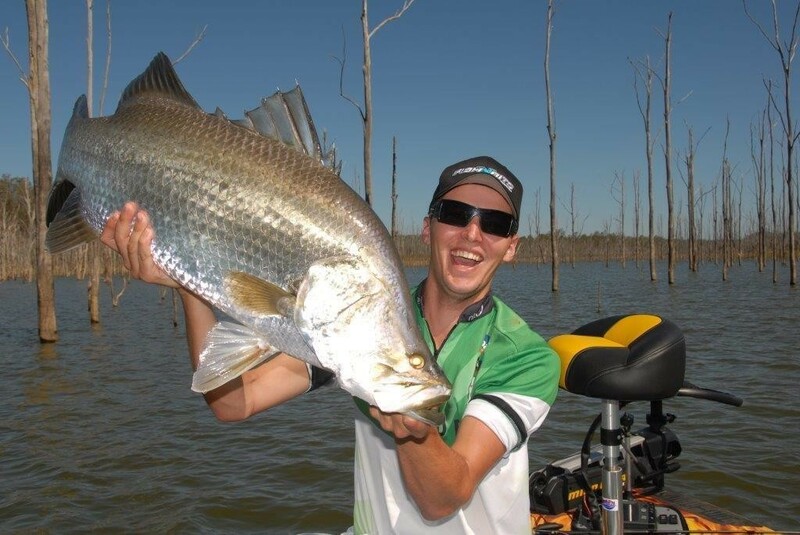 Fishing Australia expert Rob Paxevanos dishes his top tips for landing a prized barramundi. Beat the summer heat with these outdoor lagoons. 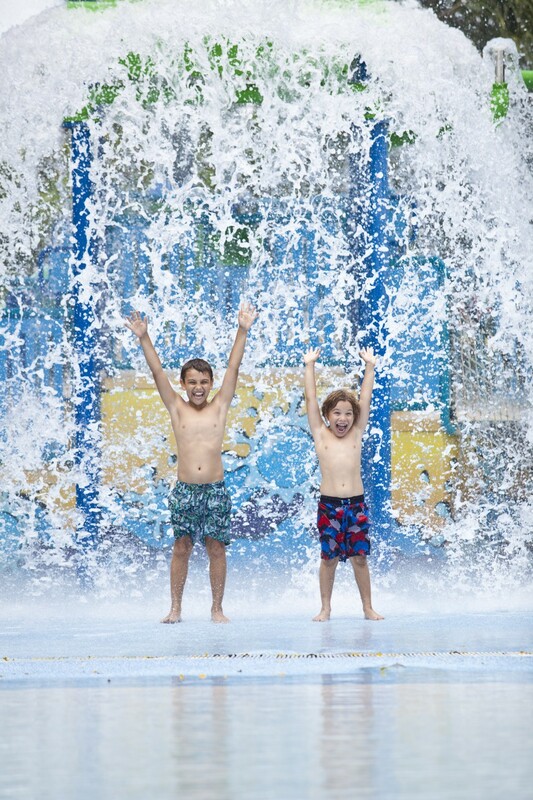 What’s the best thing about summer? Weeks and weeks of school holiday fun! Suit up to scuba dive with the platypus in Mackay. #thisisqueensland so far during the Queensland Instameet.